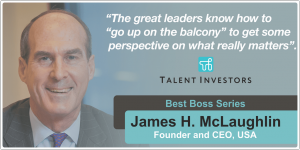 In 2010 James McLaughlin founded J. H. McLaughlin & Co., LLC, a management consulting firm focused on strategy and practice management for wealth management and investment advisory firms, private banks, trust companies, single and multi-family offices. He has over 25 years of experience in both senior operating roles and client-facing roles in the ultra-high net worth and family office segments of the industry. Earlier in his career, he served in the Connecticut General Assembly for a decade as a two-term State Representative and a three-term State Senator. He is an Emeritus Trustee of the American Foundation for the Blind (AFB) where for many years he chaired AFB’s investment committee. Someone able to imagine and articulate a future state, affect change and inspire loyalty. As an adolescent through my roles as a member of various team sports. 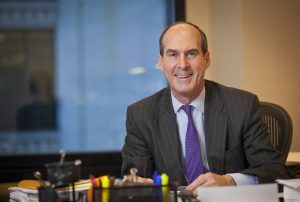 As a very young man – initially as a Division I college coach and then as a member of the Connecticut General Assembly. As a State Senator in 1984-85, building a coalition for passage of an initial albeit flawed “right to die” (health care directive) standard in Connecticut after a tortuous years-long history and in the face of seemingly intractable opposition. What I learned was that policymaking in a deliberative process only occurs incrementally on the margin; not by big leaps and bounds. To affect change, one needs to be prepared to compromise. All sides need to “get to yes” and be able to feel they won. I was placed in a role as regional president of a New York location of a large national organization that did not play to my inherent external, ambassadorial strengths where the exigencies of the business demanded an internal, operations focus. It caused me to leave a great company but not before raising my hand over multiple budget cycles asking for more support including a COO. Curiously, it was that period that caused me to stretch myself to understand various theatres of operation that I now use as a mainstay of my consulting repertoire. There were many mentors in my younger years including my father, several coaches and a handful of politicians whom I admired. By the time I came to Wall Street, I was 36 years old and while I had much to learn, I had to acquire my “trade” largely on my own. The common opinion states that in order to succeed in business one has to be ruthless. A quick survey of world’s most domineering companies seems to support that view. Do you think it’s possible to be very successful in business and still be a nice person? Yes, with all my heart. To achieve success in business, one must possess great ambition and possess an inner will and drive that looks beyond the short-term. Such constancy is often mistaken as self-serving and can provide fodder for critics who may question your motives, but it need not ever be unkind. I’m intense and excitable and had a terrible temper as a child. In business, I’ve had to learn how to adapt when “the heat” turns up. In fact, I’m often the source of “the heat” as an antagonist or even as a provocateur. Regardless of the source, I’ve trained myself to anticipate these set pieces by being highly self-monitored, measuring my words, and “leaning in” in an effort to understand the underlying source of the heat. When things cool down and I have been wrong, I admit it. When I have been wronged, I seek to forgive. I move on and don’t carry grudges. At times we all hit a low point. How do you motivate yourself? I always take the long view and, when I hit a “rough patch,” I know I can learn from adversity. I never give up. I’ve been blessed with a positive inner spirit and high energy (they’re interdependent) which sustains me. Getting to Yes (1981), Roger Fisher, William Ury – in a negotiation, I always find myself sitting in the other person’s seat trying to understand their BATNA (i.e. best alternative to a negotiated agreement) and how they, too, can get to yes. Leadership on the Line: Staying Alive through the Dangers of Leading (2002), Ronald Heifetz, Martin Linsky, two of my graduate school professors who taught we how to understand my roles in various groups and how to adapt to and lead change. First, Break All the Rules (1999), this book completely changed the way I assessed and evaluated people. I look less at someone’s functional competencies and skills and more at their intrinsic behavioural talents or differentiated strengths. I’m wary of making first impressions. Working in an organisation where business culture isn’t people oriented, how do create an environment where people want to work for you/in your department? I’ve spent my “2nd career” in wealth management; inherently, a people-oriented business. So, it’s difficult for me to imagine a business culture that isn’t people oriented. The great equalizer for me is creating a learning environment; a place where everyone is intellectually curious and committed to self-improvement. Learning causes excitement and positive energy. Most large organisations today have a strict bonus and pay raise policy, which makes it difficult to reward people even when you know they truly deserve it. Have you found a way of dealing with this? I’m convinced people want recognition more than direct compensatory reward. A best practice is using scoreboards that measure key performance indicators (KPIs) where people can see how well their functional team or unit is doing vs. an appropriate reference group. In that context, it’s unambiguous when someone has contributed to the team. Recognition can come in many forms, but it must be deserved. A simple conversational “thank you” can put a spring in an employee’s step. Companies often refer to themselves as “family”, yet only a few support their employees like a family supports its members – unconditionally and always. Aside from professional training, what support do you offer your employees? The term “family” is overwrought in the workplace. However, support for every employees’ professional development needs to be supported by training and professional development programs that are internally trumpeted, accessible to all and consistently funded. Too often in business cycle swoons, these expenses are the first staff-related expenses to be cut. Wise managers see and are vigilant to the arc or slope of each employee’s career development. When the steepness of the slope is in decline productivity is dropping and employee retention is at risk. Then, it’s usually too late. “Command and control” system is appropriate in the military where there are lives at stake. Such an approach is wrong-headed in a business setting, particularly in the contemporaneous workplace where millennials will self-select away from such an environment. Glassdoor has levelled the playing field on this score. As a personal footnote – as an employee, I did not always take instruction well particularly if I did not respect a manager. I needed to know why. Delegation is where I changed the most over the course of my career. Early on as a manager, I thought demonstrating hard work alone would be enough to motivate others in my line of command partly because I was unsure of myself. As I grew in my role and confidence, I learned that delegation was a blessing. The French expression “Qui coupe son bois se chauffe deux fois” (“The one who cuts the wood is warmed twice”) is on the mantel in the Great Room of the Chateau Chavaniac at Lafayette College, my alma mater, and is now on my website. Teams have been an integral part of my life starting at a young age as a part of various athletic teams. I’ve learned the value of teamwork and sporting competition transcends the sport itself or the score of any single match or game. A more enduring element is the fellowship of athletic competition. I took that with me as a manager and built teams who liked each other and had each other’s back. Of course, I worked for great companies that aided and abetted this cause. Team building exercises on-site and off-site work. I recently arrived at a high-performing client’s office where they had a Gingerbread Castle building competition between teams. More from Best Boss series: Janet Pope Chief of Staff and Lloyds Group Director, UK: “Praise, especially public praise, goes a long way”. It’s always good to bring the group together on a regular basis, but only if there’s work to do. In the nature of a briefing, keep it short and let others lead the meeting. Today’s technology allows for virtual meetings across locations. Memos are a last resort. As a senior manager, there’s a fine tension between being perceived as accessible and getting one’s work done. An executive assistant (EA) can be a great line of defence against unnecessary interruptions and matters that are merely administrative. Do you make yourself available to your team 24/7 or do you define ‘down’ time that your team knows you will not be available for a reply unless under unique urgent situations? As a consultant to C-level owners and managers, with woefully few exceptions, they’re all too busy with non-strategic, non-tactical administrative “stuff.” The velocity of information flow has only gotten worse the last decade. 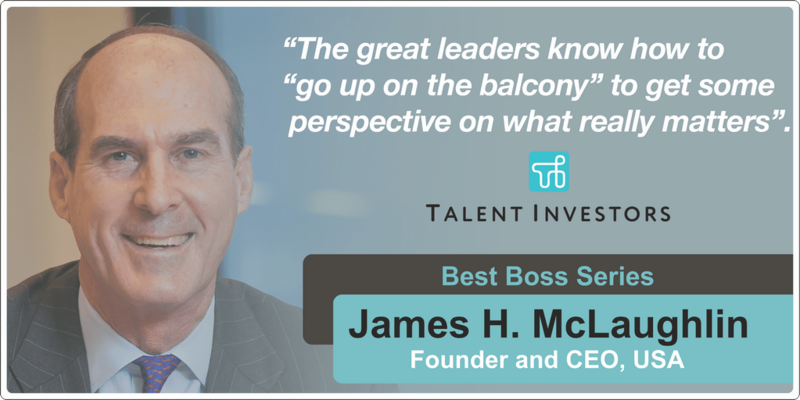 The great leaders know how to “go up on the balcony” to get some perspective on what really matters. Again, a senior manager’s team can work through an effective EA if a matter needs to be escalated to the senior manager. How do you communicate with your team – in person or online? How do you feel about your team members calling you direct? Everyone has their own communication preferences – modality, time of day, etc., but direct reports and employees at-large need to be trained to understand what works best for the boss and adapt. No exceptions. As a personal preference, I prefer an email to a text message and a text message to a phone call. If we must have a phone call, I prefer to schedule it. One day a week, I stack phone calls in 30-minute segments. I prefer a full transparency standard, but certain issues demand discretion and confidentiality. How do you best separate work like from personal life – for a healthy balance? What are your biggest challenges around this? How does this impact you personally? I love my consulting work but need to pace myself or I lose my creativity. While I’m constantly travelling, my office is in my home which means I need to know when to turn off. Thankfully, I’m disciplined and highly conscious of time management. I like to understand a client’s values and cultural norms first and then frame a human resource management (HRM) philosophy that inspires loyalty to their cause, creates an ownership culture and motivates all employees to think long-term. In this context, firms can then run their own race recruiting and interviewing to fit specific functional and behavioural markers. When interviewing, I “go fishing” for certain pre-set answers and listen closely to what an interviewee does not say. I take notes in every interview and systematically double back to any open issues. If they’re already diagnosed, this can be particularly challenging to comply with HR rules and laws concerning employee privacy rights. Management training on these workplace issues should always be welcome. In my experience, it’s much harder to understand and act appropriately with issues that are not yet diagnosed. Coaching someone off the team is an integral part of a manager’s job. When an underperforming employee sees that their company and manager are invested in their long-term success, but the employee may be in the wrong role, there is a much better alignment of interests. Parting ways may be painful in the short-term but healthful for all sides in the long-term. It should always be a learning opportunity for the departing employee. How do you prepare for succession planning? By creating an ownership culture over long periods of time – in both equity ownership wherever possible and in the delegation of responsibilities and decision-making wherever practicable; the earlier the better. And by constantly being focused on and invested the careers of “hi-po,” next generation leaders and the arc of their professional development. Too often, a succession process starts too late or is merely tactical and is predicated on the age of a principal or leader; it should be dynamic and ongoing. It’s essential. Some leaders are born, but most leaders are forced to adapt to a given environment or circumstance for which they are too often ill-prepared particularly in large, matrixed organizations. What’s worse is where the management hierarchy combined with certain economic incentives often places a higher value on a next step promotion and a race to the top over one’s subject matter expertise. In that context, leadership itself is prized as a destination; not as a means to achieve group or organizational objectives. There is an abundance of leadership and, more recently, followership theory that can be applied to any organization. I was blessed to be a student of Ron Heifetz and Marty Linsky at Harvard Kennedy School in the early stages of the development of their theory of adaptive leadership while I was also a lawmaker/politician. I would go from classroom to legislative chambers and the streets of my district testing my capacity for various aspects of leadership theory in a working laboratory. I was often bloodied but I learned a lot.